Stand with Montanans and Northern Plains Resource Council will present the film Heist: Who Stole the American Dream. 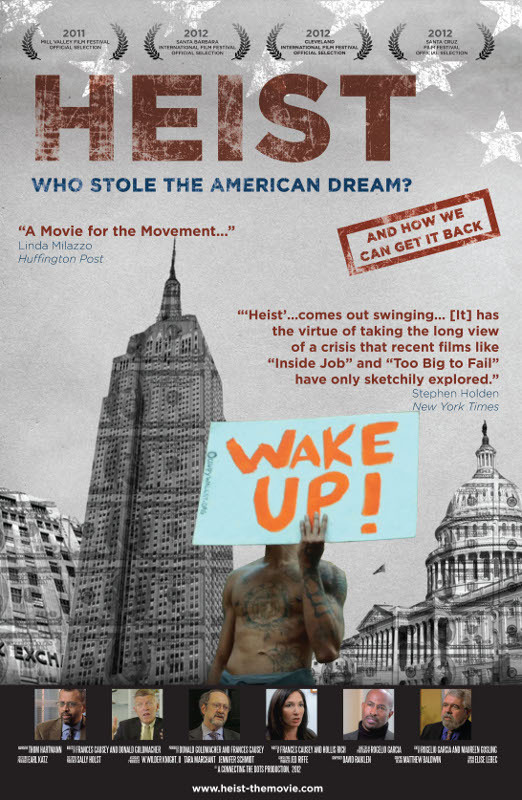 Heist is a feature documentary which investigates the roots of the current economic crisis, and the ongoing assault on working people in the United States. It tells the hidden story of the systemic, multifaceted corporate attack on the middle class that, starting in the 1970s, transformed America's well-regulated economy into a battlefield littered with foreclosed homes, runaway jobs, and broken dreams. The American economy has been eviscerated due to four decades of deregulation, the outsourcing of forty-million manufacturing jobs, and self-serving tax policies that have created a new class of robber barons.